Live the country life in this authentic Log Cabin!! 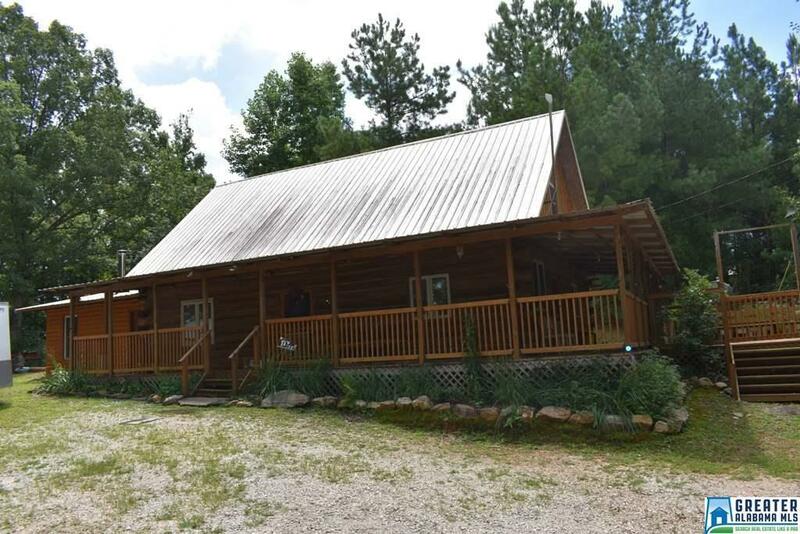 Built in 2006, the cabin is situated on 1.6 acres of hardwoods with 200 feet of creek frontage on Wedowee Creek . The large covered front porch is perfect for a swing and rocking chairs. A 20x20 deck attached is ready for a grill and outdoor furniture. Inside, you'll find four bedrooms, two bathrooms, laundry room with pantry space, oversized dining room and a spacious living room that has a wood burning heater. The master bedroom is on the main floor and features custom built-in wardrobes and a master bathroom with a claw foot tub. Ceramic and slate tile run throughout the main floor and carpet in the two bedrooms upstairs. The HVAC Unit is less than two years old. Located in the Woodland School District.